My son is in 7th grade right now. So I have a couple years before I have to worry about high school. However, it's been one of the things I worry most about homeschooling a teen. I have fears about not being able to teach him as well as he should be taught and exactly what to teach as far as requirements go. 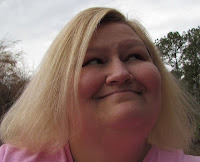 I have been lucky enough to have been sent the Knowledge Quest: Upper Level Homeschool Course by Terri Johnson to help me out with all these questions I have. This is a 13 week course that takes you through all the steps needed to successfully teach your teenager during the high school years. At the end of each lesson you are given some homework to do. For example the first lesson is about learning the requirements for your state and planning a 4 year course of study. So, for that week you find out the updated requirements for your state and make a course of study for your teen. The course goes over such things as different ways to earn high school credits, what to do if you need help teaching a subject, all about transcripts, and SAT/ACT testing for your high school student. They also cover such topics as CLEP testing, which is something I had never heard of and financial aid for college. This has been extremely helpful for me. I really need the step by step directions that are in the Knowledge Quest: Upper Level Homeschool course. I am feeling more confident about teaching through high school now that I know the steps to take. Knowledge Quest: Upper Level Homeschool course is $45, which isn't bad for something that will help guide you for four years. 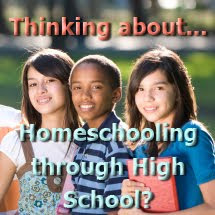 I think this course would be great for parents who are feeling a little unsure about homeschooling through high school. I was sent this course for free by Terri Johnson and Knowledge Quest in association with Mama Bzz in exchange for a review of the product. This is helpful even if you have one in public school. The more ACT & financial ad info you have the better.